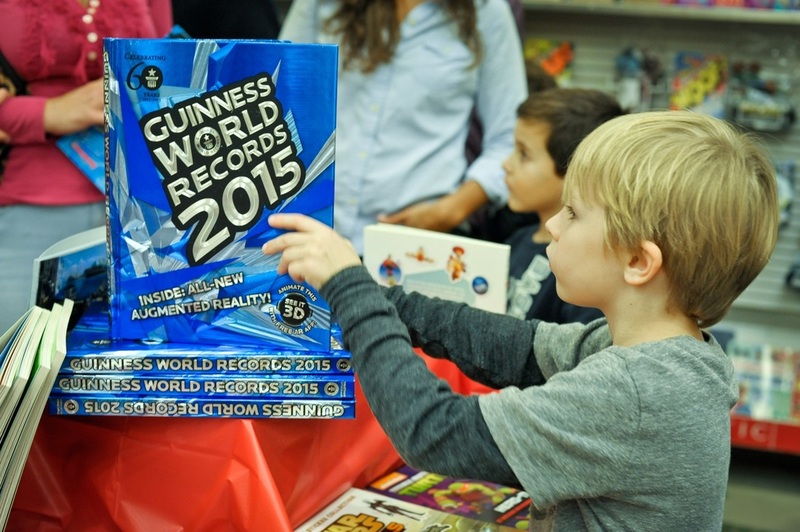 November 3 kicked off this year’s book fair at Sea Cliff Elementary School. 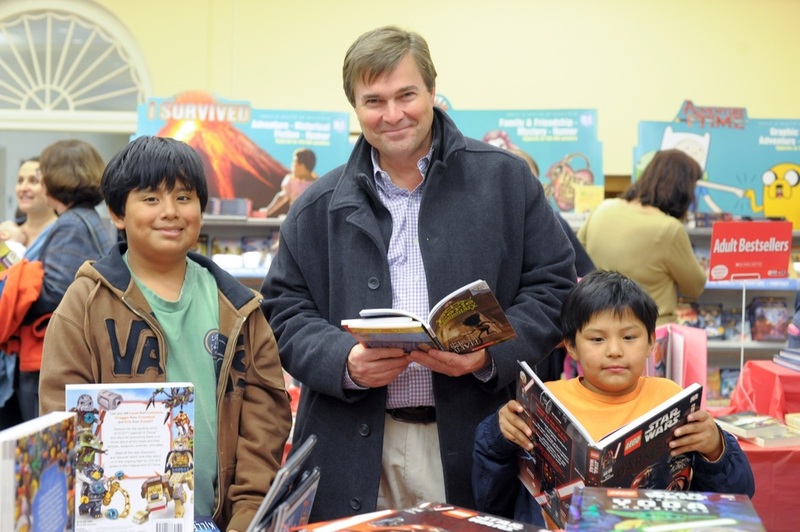 The book fair, which raises money to pay for author visits at the school, will be open through Friday, November 7. This year’s theme, Sir Readalot’s Castle, focuses on the medieval times. Book fair co-chairs Heather Cullen and Katie Kenny were happy that the school principal, Chris Zublionis, volunteered to be the “secret reader” for the book fair family night. But Mr. Z didn’t talk to kids about the theme. He surprised kids in grades K-2 by reading them My Brave Year of Firsts, a book he got when he became principal. Connecting to the book, Mr. Z told the kids, “Mistakes can be our biggest teachers.” A bigger surprise was that he played on his guitar and sang a song called “Little Wing” by Jimi Hendrix! He finds the song very encouraging and inspirational. For kids in grades 3-5, he played and sang a song called “Elderly Woman Behind the Counter in a Small Town” by Pearl Jam. He read the well-known book The Giving Tree, which is a Zublionis family favorite. Mr. Z has been playing guitar since he was in eighth grade. 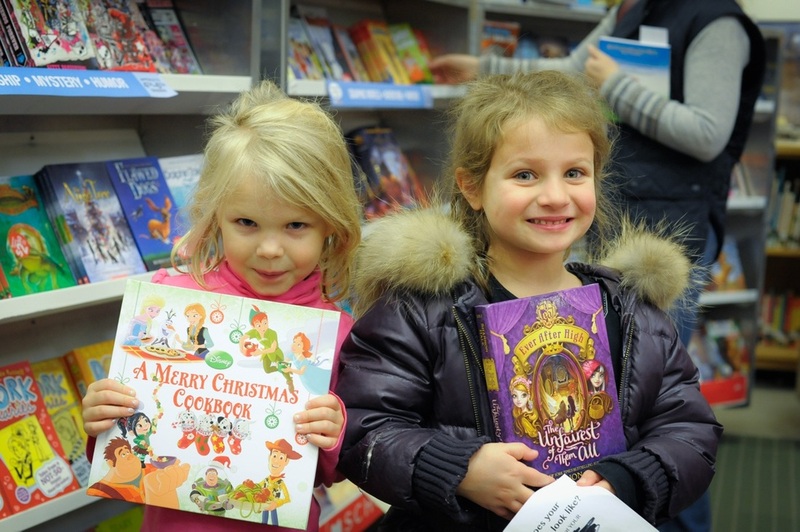 He suggests kids find books that relate to their personal interests. He hopes to build a better world at Sea Cliff School, not just by taking care of the earth, but also by reading.